Simple adaptation of the "Wall St . 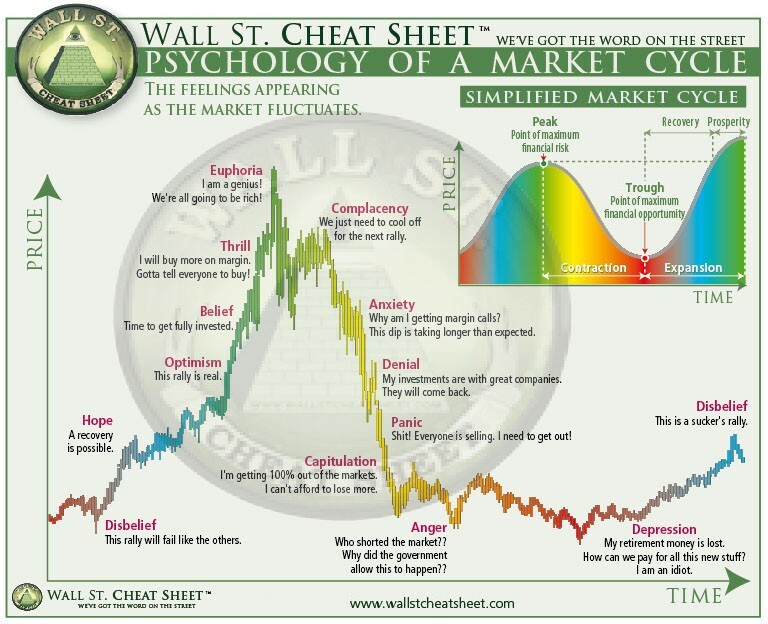 Cheat Sheet" chart named "Psychology of a market cycle" on the Bitcoin's chart from Bitstamp . Commentaire: Thanks to everyone for your likes and comment. I hope this chart will be useful for many of us ! Commentaire: New Bitcoin idea ! 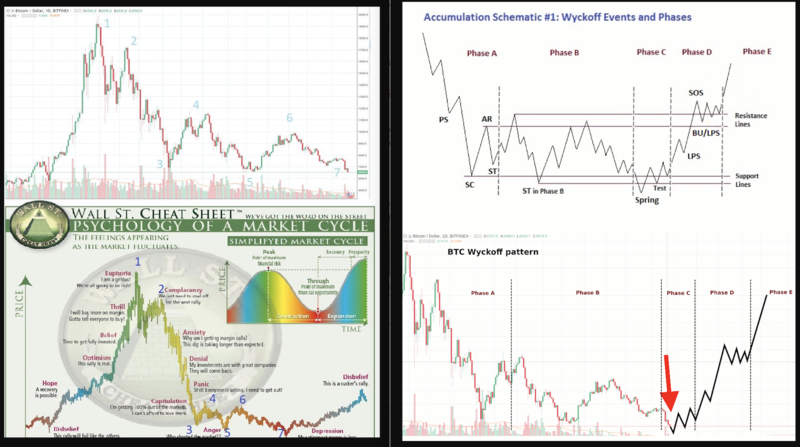 If you were around at the 12.7k double top, denial is on point. Thanks for your comment mate ! I hope we're right !